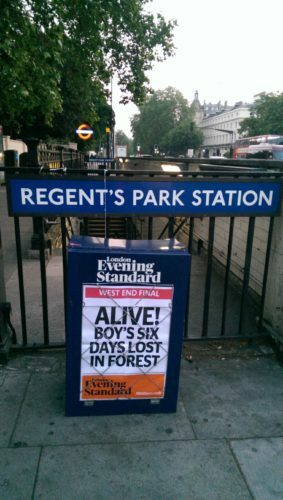 Final Edition of 6 June 2016 edition of the London Evening Standard being promoted at Regent’s Park Station in London. Photograph: Red Circle Authors Limited. 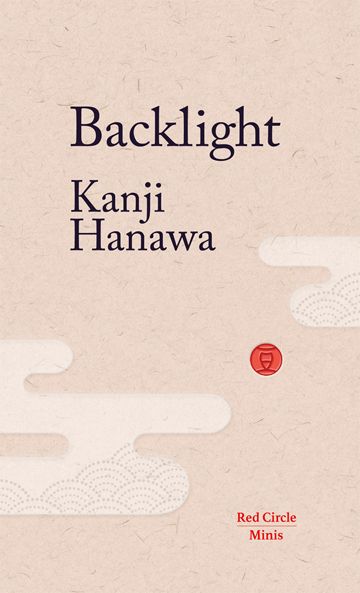 Backlight, published today, is a thought-provoking and intriguing tale, by the Akutagawa Prize-nominated master short story writer Kanji Hanawa. Backlight revolves around the extraordinary real story of the seven-year-old boy who went missing in the bear-inhabited forests of northern Japan for six whole days in 2016, after his parents had apparently abandoned him as a punishment. 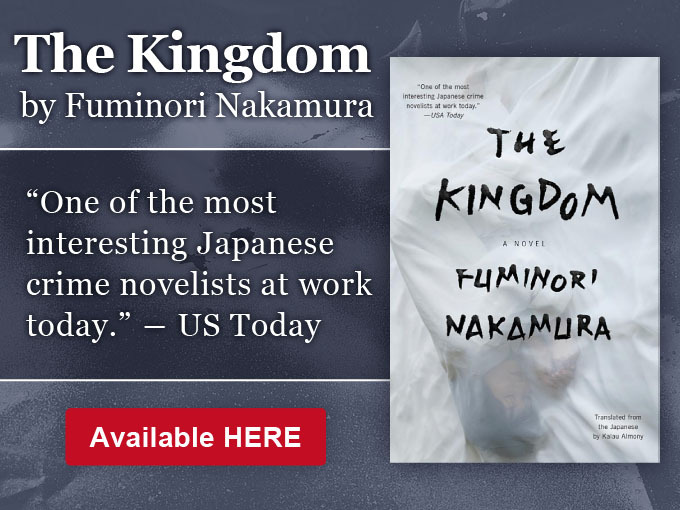 The disappearance of the boy was picked up by the international media, including some of the world’s most influential broadcasters and publishers, who often ignore Japan-related news. Broadcasters like the BBC, CNN and such newspapers as The Telegraph and New York Times, all of whom repeatedly ran prominent stories as events unfolded around this story. 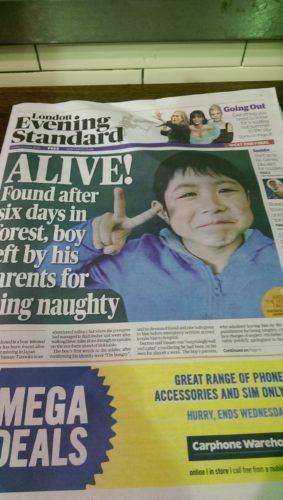 Front page of the 3 June 2016 London Evening Standard featuring the breaking news that the Japanese boy lost in the woods for six days had been found alive. Photograph: Red Circle Authors Limited. When the young boy was eventually found he was featured on the front page of London’s most influential newspaper, the Evening Standard and his first words on discovery, ‘I am hungry’ were reported worldwide. Backlight, a work of fiction, was inspired by these events and Hanawa, an author known for his interest in human psychology and complex relationships – whose stories expose the pressures and challenges of life in Japan, explores the themes and media narratives that were generated by this unusual international news story. Backlight, translated by Richard Nathan, is a complex and challenging look at an unfolding emergency, a culture and a country. It is the first work by Hanawa for some considerable time and has been written with superb subtlety and intelligence. It is the second title to be published in an exciting new series of short Japanese books, Red Circle Minis.